What did we do before Pinterest? The visual smorgasbord of all things crafty and more. I tell you what… my handmade gifts are definitely cuter since I discovered Pinterest a few years ago and my family sure does eat better now! You can follow Ninja Mom Design’s Planner Boards HERE and HERE. 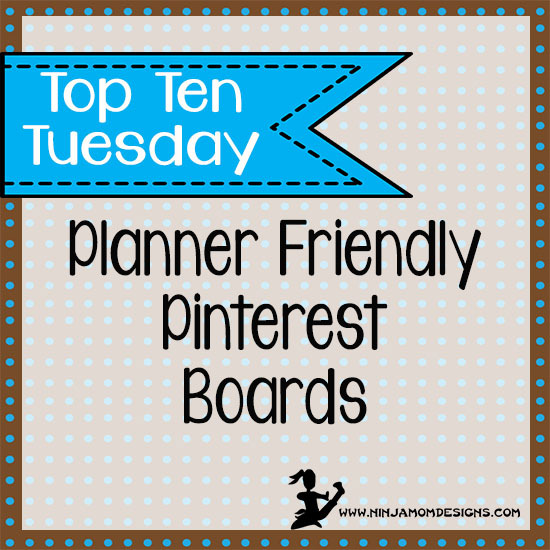 Do you have Pinterest boards dedicated to planning? Comment below so we can all follow!